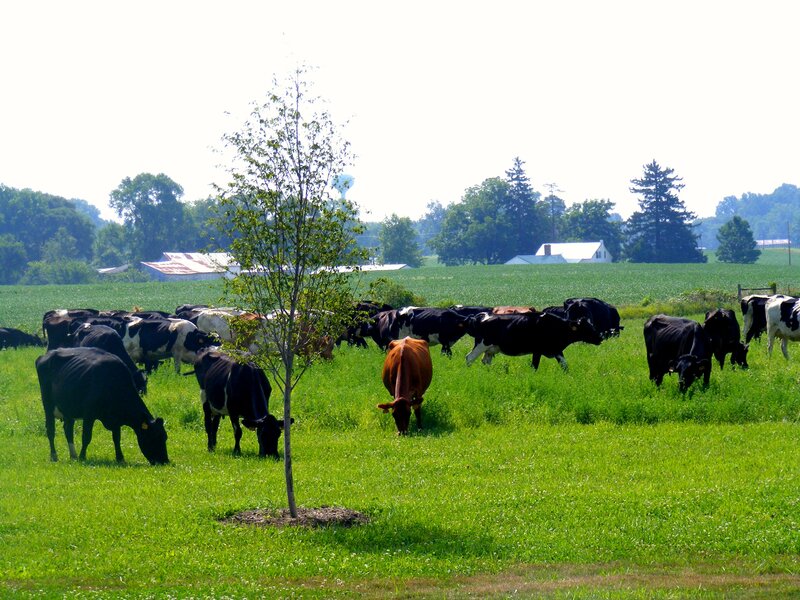 Life Down Our Lane: Holy Cow!!! Sunday Morning, I was sitting on the computer while the kids were in the living room watching cartoons. All of a sudden Grace says "Mommy, come look out the window!" I assumed it was yet another groundhog or skunk (we have quite a few of them lately) in our backyard. I walk over to the window....pull back the curtain....and much to my amazement, this is what I see. That's right! 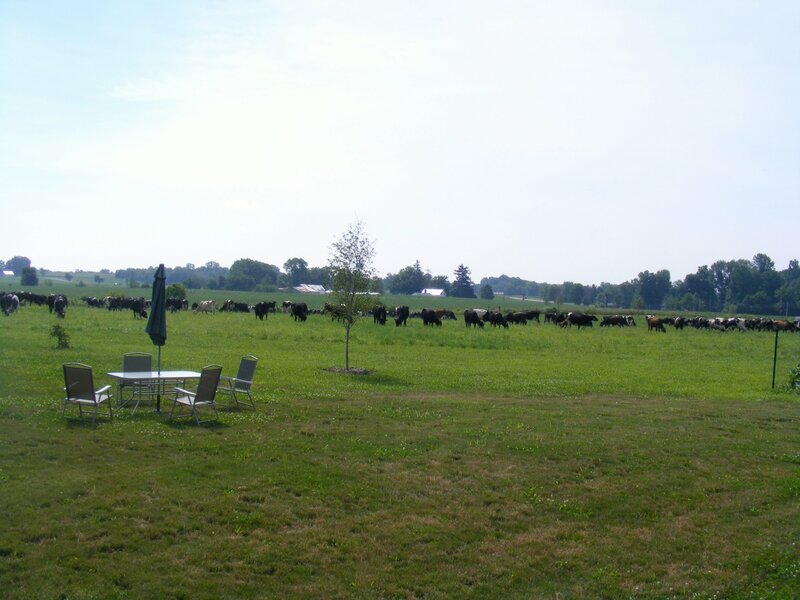 Probably over 100 cows in our backyard and field. 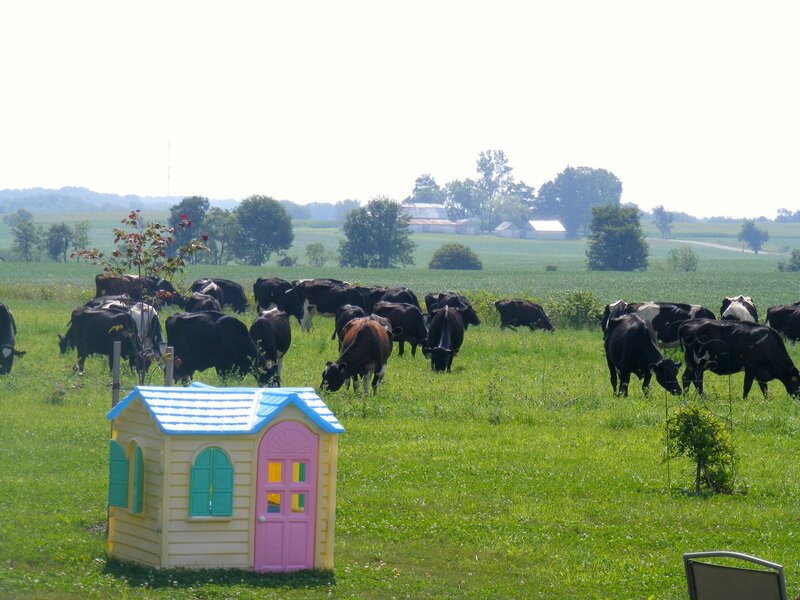 Shawn runs outside in an effort to try and prevent them from further grazing into our yard, landscape, and garden. Meanwhile he is on his cell phone trying to get ahold of the farmer so he can come help his cows find their way back home. No one was answering!!! That left only one option. He would have to drive down the road and try and find the farmer....while I was left with the task of trying to keep them contained. Let me just tell you, this site was totally worth making the finals on America's Funniest Home Videos. At one point I thought I was doing really well....then they started migrating down toward the road and pond. I took off running that direction to try and head them off.....clapping, yelling, and waving my arms. At one point I noticed one cow had horns (which totally freaked me out), and another two cows were doing something I'd rather not witness again. Eventually Shawn found the farmer. 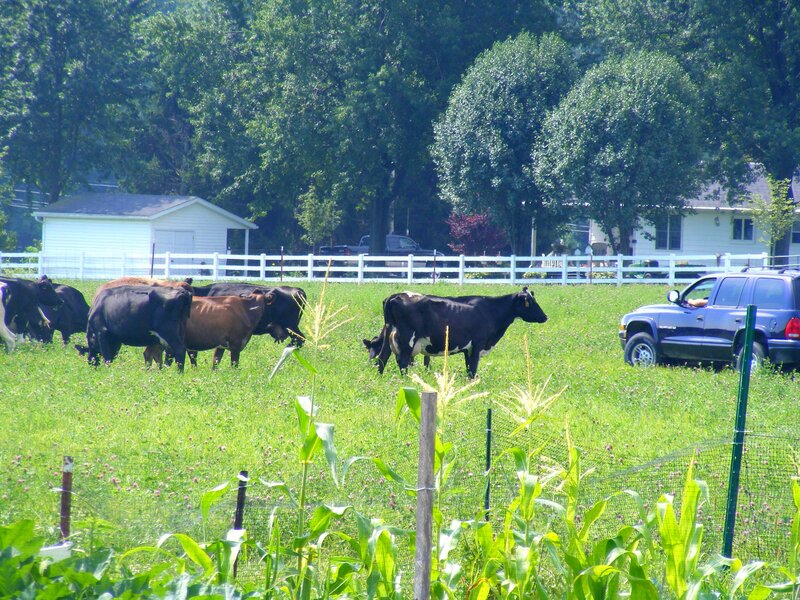 He pulled in our driveway, got out of his truck and started walking toward the cows. They immediately started going back the way they came. Amazing! According to the farmer, this is why it happened. 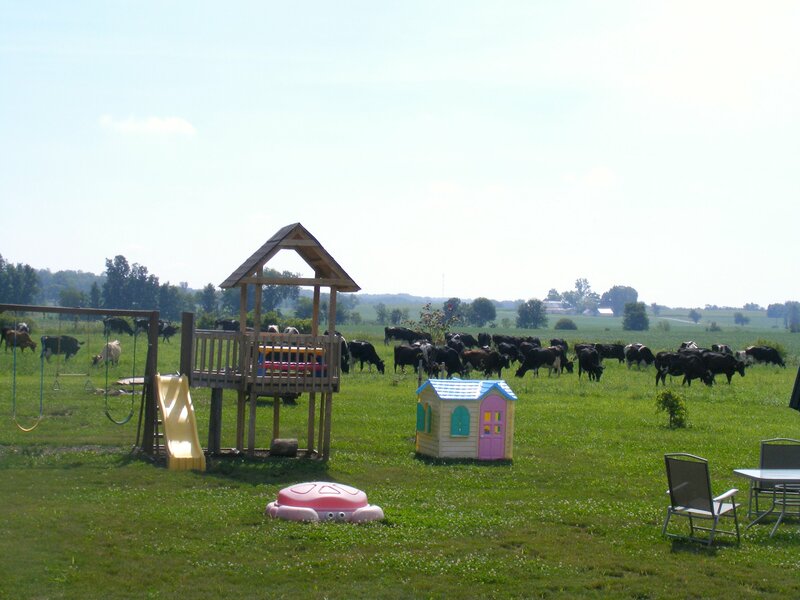 It was a hot steamy day, and the cows were miserable. They spotted our woods (shade) on the other side of the fence. This looked to irrisistable to them and they trappled the fence to get to our woods. Once in our woods and enjoying the shade....they got a wiff of the Alfalfa growing in our field....and proceeded to go have themselves a snack. This whole process was frustrating and tiring.....but now that it's over and looking back on it....it's quite hilarious!